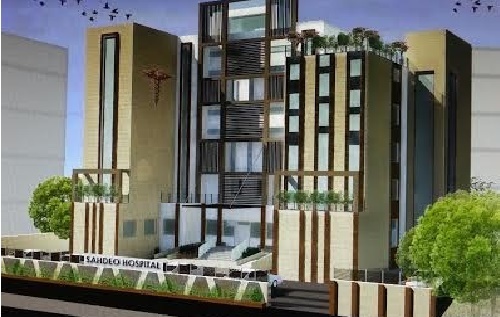 SAHDEO Hospital is 50 bedded state of the art hospital , located At NH- 33, Sector – Omega – I, Greater NOIDA since 6th April 2006. It is headed by Dr. Manoj Mittal , an orthopedic surgeon and Dr. Neera Mittal practicing as a gynecologist and both are serving to this society since last 30 years. This Hospital have highly qualified and experienced team of Doctors, And Para Medical staff . The hospital is surrounded by more than 18 Major apartment like Senior Citizen Housing Complex, AWHO, Jalvayu Vihar , Eldeco, Black Gold, NTPC,NSG and Icon etc. Hospital is Also well Connected with Sikandrabad , Dadari , Noida and Other part of Greater Noida .Hospital is well equipped to manage any sort of emergency and we have supremacy in the field of Ortho.